Now Jl.Dago more dense than usual week. Oh, apparently there is some additional activities that involve several parties, namely some of the leading radio station in Bandung and some bands! Wow, what happened? Apparently they were raising money for the victims of natural disasters in Indonesia, namely: the eruption of Merapi volcano victims in Yogyakarta, flash floods victims in Wasior, West Papua, until the tsunami in the Mentawai of West Sumatra. The Indonesian nation was given the test again by The Great Creator. I was so so sorry. 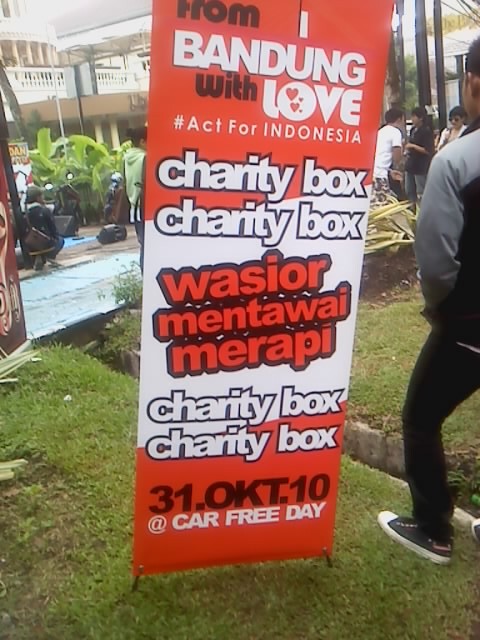 So, as one nation brotherhood, was held this charity. 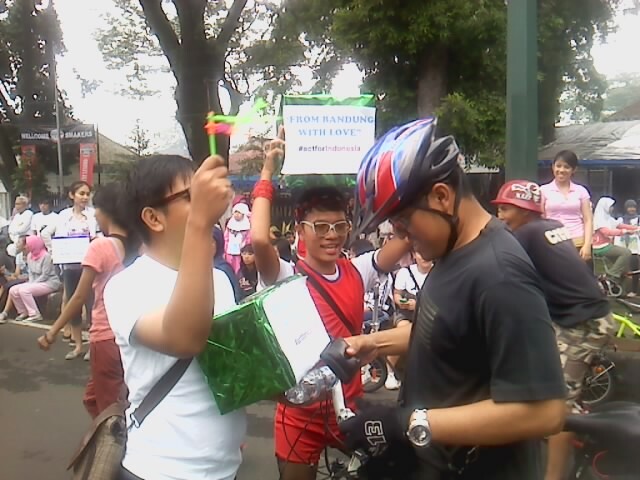 This activity titled “From Bandung With Love”. While citizens engage in sports activities, some bands donated songs, accompanied by some radios crew who circulating charity boxes to citizens who were exercising, walking or biking. People, that time, were very enthusiastic over this activity. Not only that, it appears a group of students also do charity events too, by doing a flamethrower attractions. It was thrilling, but at the same time amazing and managed to attract people to come together and give donations. And I already expected, some parties make this moment as the attractiveness of its product sales business. The incident today has its own impression for me, that though different ethnic groups, but we are one, the Indonesian nation. 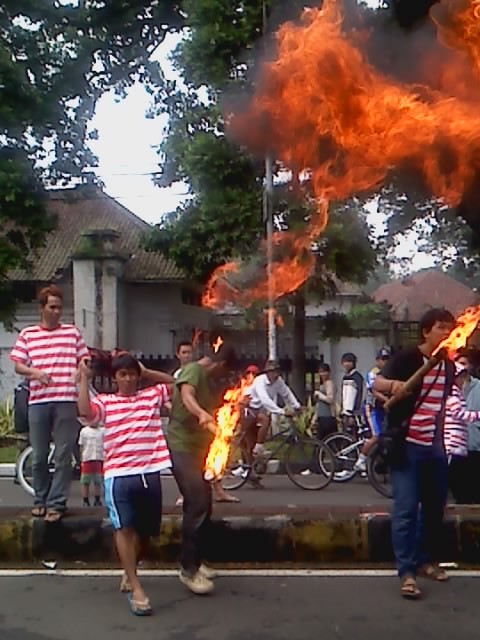 They are there sore sick, it was felt also by us, the citizens of Bandung. From Bandung with Love ….. This entry was posted on Sunday, October 31st, 2010 at 5:41 pm	and tagged with Mentawai, Merapi, natural disasters, victims, Wasior and posted in Events. You can follow any responses to this entry through the RSS 2.0 feed.